The Saardu Series, Volume 1, Edition 2012-3-11, features the Eagle Nebula, a stellar nursery where the planet Saardu is born. Ruby is a young girl, age 7 Triton years, whose life in a sentient Zenyan spaceship should be far more interesting than it is. Superstition spoils everything as the Admins fear daydreamers will cause the mission to fail, resulting in homelessness in space. If our descendants succeed in fulfilling tasks assigned by their 11D rescuers, according to Zenyan Law, then 4D humans will be allowed to make a new home in the 11th Dimension, Zenya, transforming both cultures forever. Ruby's parents are Jace, a geneticist, and Julissa, a botanist. Both are hiding the fact that they have the dreaded Complex. Ruby's active, natural imagination is a gift from her father, making her the first and only child who daydreams since the 17th generation in the Triton Community. 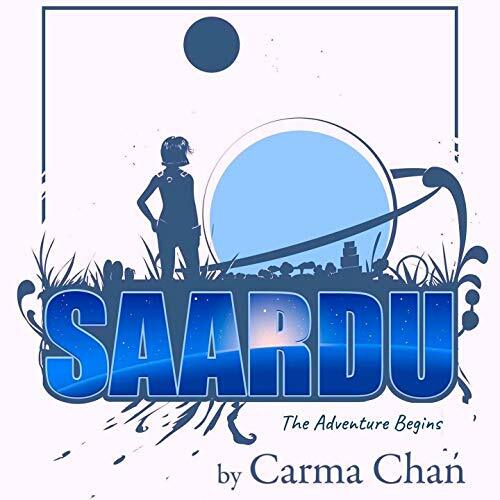 This puts her in a precarious position that could thwart her family's plan to escape their sterile environment in favor of the sweetly scary planet they are approaching...Saardu. a children's book, the story skips around.